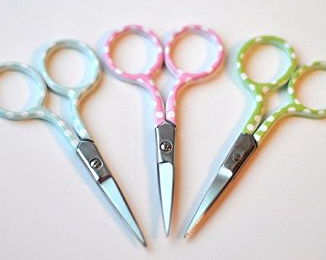 Polka Dot Scissors in pink. Embroidery scissors for cross stitch, lace, Hardanger, patchwork...perfect for removing those small thread ends. Quality stainless steel 9cm (3.5in).